Now you can burn enemies from around the world to a crisp. Death Rally is the iPhone and iPad game that doesn't know when to quit, as in tons of free updates for its loyal community. The latest from Remedy, version 1.7, adds a flamethrower attachment, a new car paint job (The Retro Fighter for Shrieker), enhanced anti-aliasing for iPad 2 and new achievements to unlock. 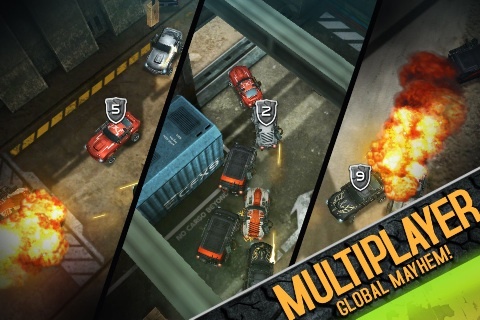 The first MP update brings a newfound sense of depth to this vehicular combat game, with up to four person races, two upgraded weapons (shotgun and gatling) and six maps (including Eureka, a paid map in single player). Basically, an outstanding game just became even cooler. The update is available now, and you can download Death Rally here.